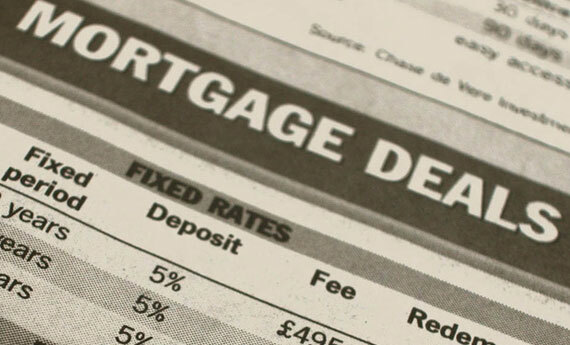 Approvals for mortgage applications by British banks fell to a seven month low in September, and the ongoing failure to secure a deal over Brexit is being partly blamed. This is likely to lead to an increase in rental properties over the coming months, as younger buyers again feel the cold shoulder of the property market. The Bank of England raised interest rates by 0.25% in August, the second such rise in less than a year. While this may not seem much, these two hikes come after a decade of stability or decreases. As any rise in rates makes mortgages harder to repay, approvals are harder to come by. The Budget has also thrown in a little more uncertainty for the mortgage market, coupled with fears over Brexit. Construction continues to be a bottleneck for the British economy, which is another bar to affordable mortgages. Unless there is a breakthrough in any of these situations, this is likely to continue. Brexit happens next March; it seems that, barring a miracle, banks won’t be lending out much more money any time soon. All of this is bad news for anyone trying to get onto the property ladder. Consequently, this means that more of those same people will be looking to rent. One particular area affected by low mortgage approvals is London. This is ironic, as the capital is the only area of the country where property prices are actually falling. Since the vote to leave the EU, property price inflation has slowed nationwide, but in London the average property price is actually 0.2% lower. London is already by far the biggest attractor for rented accommodation, and an average fall of 0.2% in property prices will not affect this. The fact that banks and other institutions are less likely to approve mortgages will easily negate such a fall. In terms of lettings, London private rental prices actually fell by 0.3% in the 12 months to August 2018; the only place in the UK where a fall is registered. This is likely to be the end of such a trend, according to the Royal Institution of Chartered Surveyors (RICS), as the expectation is for prices in the capital to rise. Property rentals legislation is beginning to change in favour of honest renters, at long last. The recent focus on “rogue landlords” is part of a growing momentum aimed at improving the private rented sector. In the long run, that can only be good news for the market as a whole. The fact is that the Private Rental Sector (PRS) constitutes about 20% of all UK households. In 2017, investment in this sector came to £6.3bn, showing how valuable this form of accommodation is to the country. As investment goes to places where people actually want to live, this makes up somewhat for the “slum” landlord descriptions which seem to fly around the media. Private rented accommodation will continue to be a sound investment, as it is a vital part of the property market. Improved legislation to regulate bad landlords is only going to make this situation better. With low mortgage approvals and improved perceptions of privately rented accommodation, now is a great time to be a private landlord. It seems like this is one sector of the British economy which is likely to prosper in the foreseeable future. Perhaps ironically, with the seemingly continual decline of the high street, more people are looking for a trustworthy online letting agent. The added value this growing sector provides is appreciated in uncertain times, which look set to stay with us. If you’re considering a mortgage it’s always a good idea to get an idea of your credit rating. When you are familiar with your own credit score you’ll have a much better understanding of the level of mortgage you may be able to achieve. We’ve partnered with Experian to offer our readers a free instant credit check, get yours here. « What’s an Online Letting Agent you ask?